Sign up for volunteer opportunities from home with SAVE & NEAT! 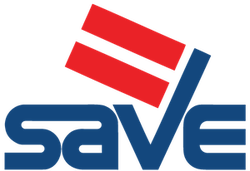 SAVE is excited to join #theNEAT Compact and give YOU the ability to fight for #LGBTQ Justice everywhere by volunteering to make calls from home! Like us, you believe we must fight across the many issues that affect our community - and not only where you live but where any of us live. NEAT is the perfect fit because it brings our community together to take collective, more successful action wherever we are most needed! By signing up you will be added to SAVE & NEAT's email lists and agree to be contacted via email, phone and text about phone bank from home and other volunteer opportunities! You can unsubscribe at any time.